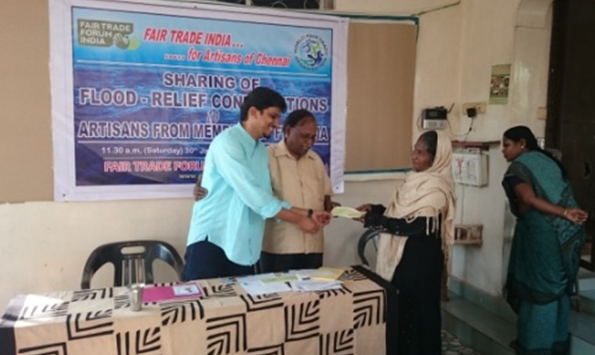 A small event was organized by FTF-I and SIPA, for the distribution of funds for the artisans who got affected due to heavy flood in Chennai. 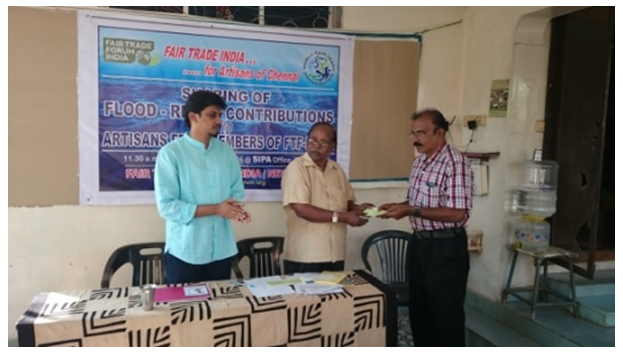 Mr Pradeep Krishnappa, Vice-President, Fair Trade Forum-India along with Dr K. Panchakshram distributed funds to the affected artisans and different members on 30th January, 2016 at the SIPA Campus. 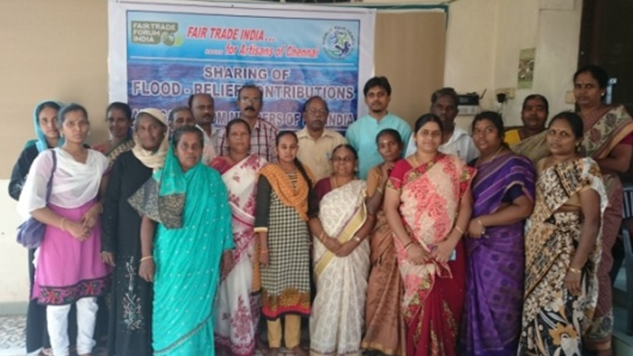 More than 30 people from various producer groups and artisans attended the event, which included 10 artisans with Mr Chengalvarayan from Pulicat Palmleaf Co op Society, 5 artisans from TAS/Pondicherry with Mr Rajendran, Ms. Gnansundari from WITAWT/Gypsy Beads Centre accompanied by 2 artisans, Mr K. S. Prasad from Baladarshan and team of SIPA. 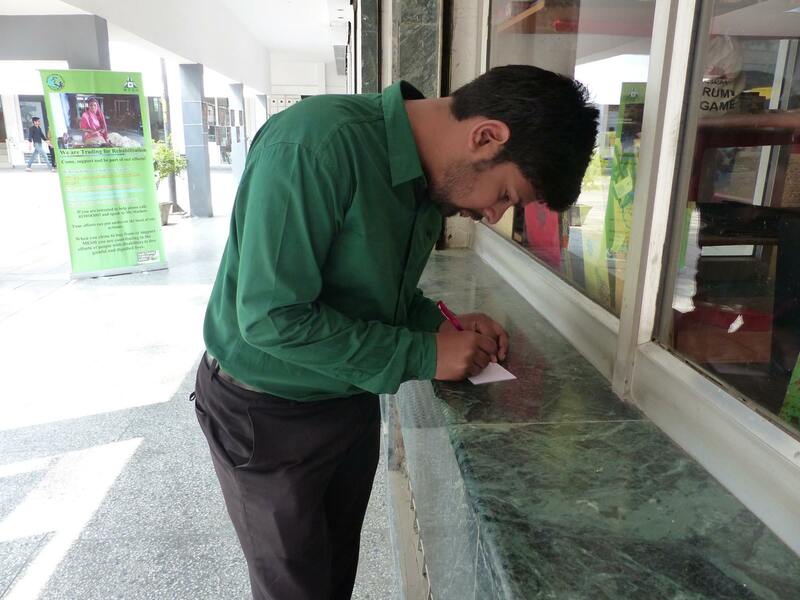 Cash support was given to the members who had lost their stocks and samples in the flood to rebuild what they have lost in the heavy flood. Mr K.S. Prasad from Baladarshan was also presented an amount of Rs 40,000 for the affected members in Baladarshan. 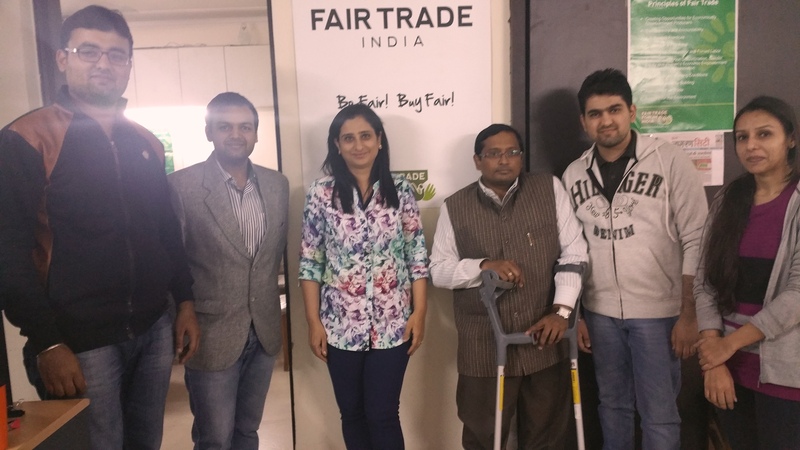 Artisans were grateful and thanked FTF-I and SIPA for this act of humanity, when they need lot of support. From women’s suffrage to equal parenting and representation in politics, International Women’s Day (IWD) has celebrated the social, cultural, economic and political achievements of women for more than 100 years. Giving a break to all the artisans of Creative Handicrafts organized a special screening of the film Gulabi Gang, on the occasion of International Women’s Day at the Holy Spirit Hospital Auditorium from 03:00 PM to 05:00 PM. The film has got the National Film Awards for the Best Film on Social Issues to Director Nishtha Jain and Producers Pirya Film, Raintree films, Final CUT for Real. Our member based in Delhi, MESH, organized Women’s Day posters and signature campaign at the MESH shop Delhi in Uday Park. On the day, Sasha, Kolkata celebrated, reflection, advocacy and action, both locally and at a global level with, with a film screening, poetry recitation and a sumptuous brunch with the women of Sasha at Sasha Shop. 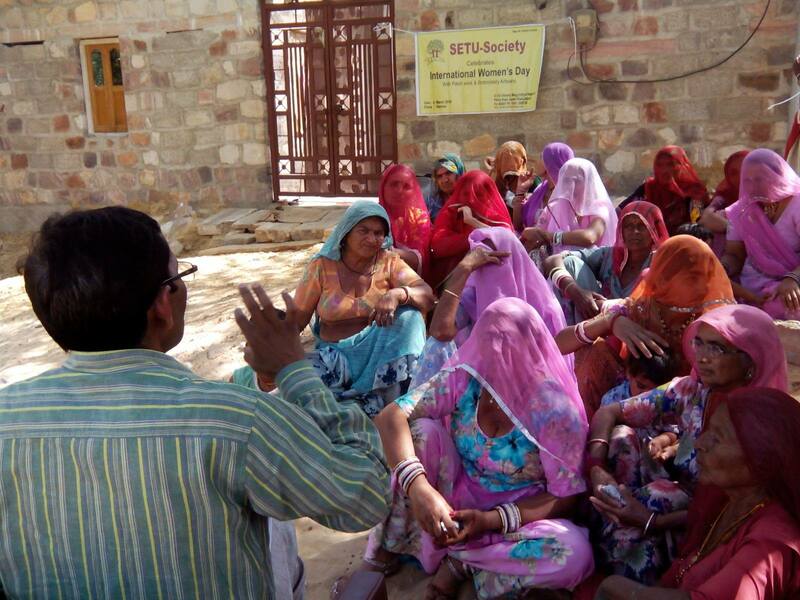 Member based in Rajasthan, SETU-The Bridge to The Artisans, distributed Solar Lanterns to the Women artisans of their Embroidery and Applique Group based at Barmer. The Ants in collaboration with Kalakriti organized an Exhibition of Tribal Jewellery and naturally dyed Hand woven textiles from Odisha at The Ants store, Bangalore from 18th to 20th December, 2016. Kalakriti was founded by Mrs. Shobha Toshniwal who was born and brought up in Kolkata but has spent most of her life in a small town called Jeypore in tribal Odisha. Kalakriti helps the local tribal artisans to save their age old art and legacy and gives them a platform to showcase their talents. The organization focuses on the empowerment of the local people and save their age-old traditions, they also engage in social work by providing healthcare and donations to the underprivileged. 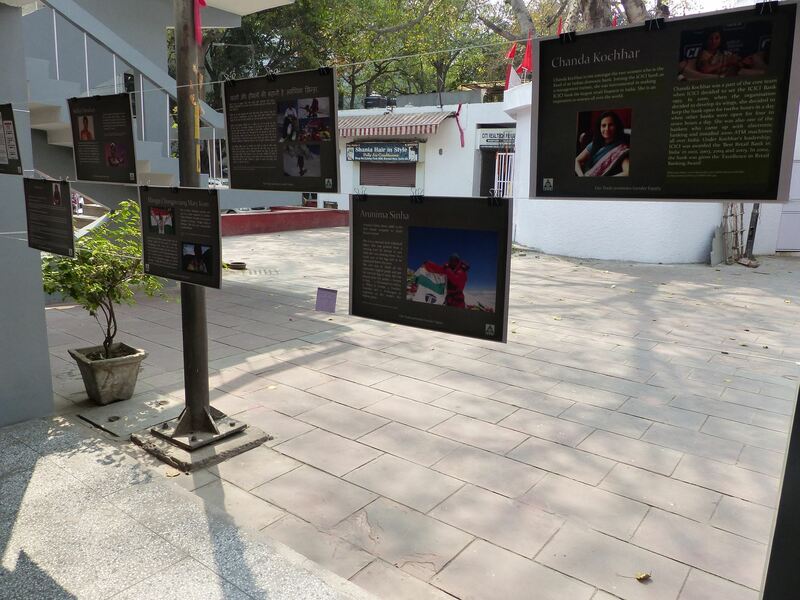 A wide range of handwoven sarees, stoles and dupattas from Bengal was presented at ‘Purabi’ exhibition held at Nature Bazaar, New Delhi by Sasha and Art Illuminates Mankind (AIM). A good exquisite collection of cotton, linens, jamdani, kanthawork, leather, mat, accessories were displayed for sale at this exhibition from 10th to 21st March, 2016. Craft people from Assam, Manipur, Nagaland, Orrisa, Chhatisgarh, West Bengal, Bihar, Jharkhand presented a wealth of wonderful textiles, basketry, folk art & terracotta, in the exhibition.